PWP was formed in 2000 through a USDA Forest Service Initiative that funded 15 large-scale projects nationwide; each project focused on restoring their respective watersheds through partnerships. USDA Forest Service continues to be the primary sponsor of the Potomac Watershed Partnership. Cacapon Institute coordinates PWP, whose steering committee originally included five primary partners: USDA Forest Service (including George Washington/Jefferson National Forests), Maryland Department of Natural Resources – Forest Service, Virginia Department of Forestry, Ducks Unlimited, and Potomac Conservancy. Pennsylvania Department of Environmental Protection joined PWP as a steering committee member in 2002, and representatives from West Virginia Division of Forestry, Pennsylvania Department of Conservation and Natural Resources, and the US Fish & Wildlife Service joined the PWP steering committee in 2007. 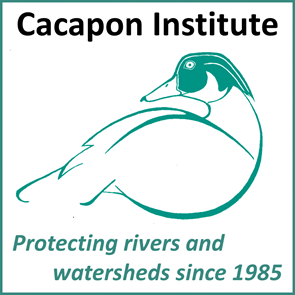 Cacapon Institute joined the steering committee in 2010 when it became the PWP Coordinator. The Nature Conservancy joined the Steering Committee in 2011. In addition to the steering committee, partners throughout the watershed leverage skills and resources to complete on-the-ground collaborative projects, and attend an annual PWP Information Exchange.